What is moisture content of lumber? The amount of moisture in wood is often expressed as a percentage of the weight of the wood when the oven-drying method is used. When a tree is still growing, the tree may have more moisture in it than ovendry wood fiber, resulting in moisture contents greater than 100%. As wood is cut and exposed to air, the moisture dries from the wood. In a sawmill, this process can be expedited by running the rough lumber through a kiln process, exposing it to elevated temperatures to aid the drying process. Southern Pine lumber can be gradestamped as KD19 when it has been dried in a kiln to a maximum moisture content of 19%. This generally means that the average moisture content of the lumber will be close to 15%, with some pieces somewhat drier and some pieces somewhat wetter. When mills dry their lumber, it reduces the weight of the product which reduces shipping costs. Drying lumber also tends to increase the strength and stiffness properties. As wood loses moisture content, it will also shrink in size. In fact, as wood dries below about 30% moisture content, it will lose about 1% in the radial and tangential directions for every 4% drop in moisture content. Wood shrinks very little in the longitudinal (lengthwise) direction as it dries. 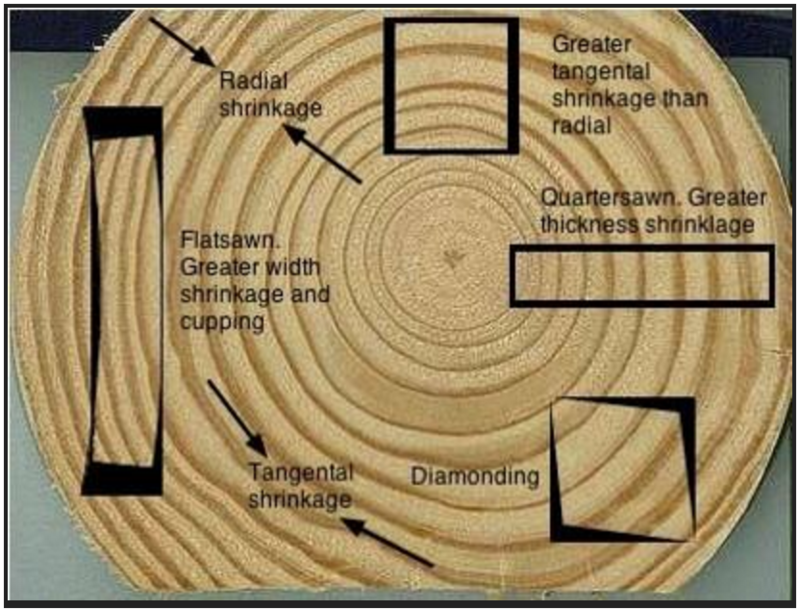 The picture below shows exaggerated images of how lumber shrinks relative to where it was cut from the log. When wood is used in a structure, it will equilibrate to the moisture content determined by the ambient relative humidity. In the United States, this can vary from about 6% MC in arid regions to about 11% MC in wetter coastal regions, with much of the country at about 8% MC. The closer a piece of lumber is to the moisture content it will equilibrate to in place means the less shrinkage will occur after it is installed. If the moisture content of wood exceeds about 23%, it may begin to mold. Keeping lumber mold-free is another good reason to dry lumber. 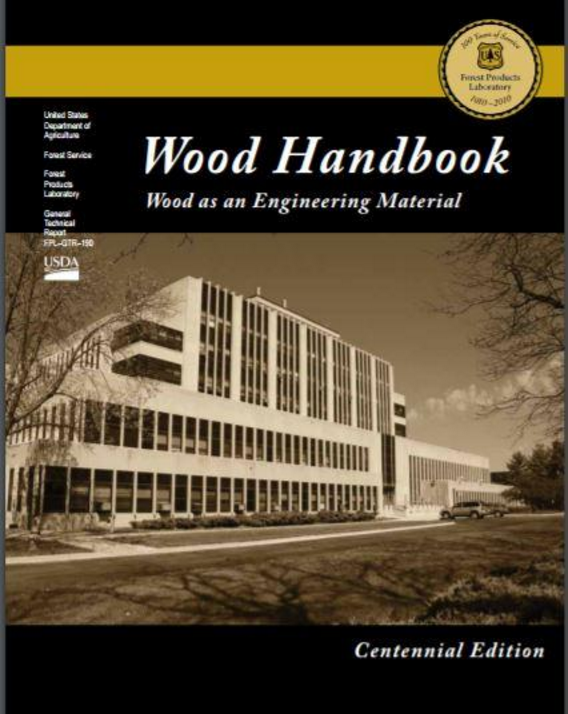 The USDA Wood handbook, Chapter 12, is a great resource for more information on drying wood, how properties change as lumber dries, and ways to protect lumber from moisture.